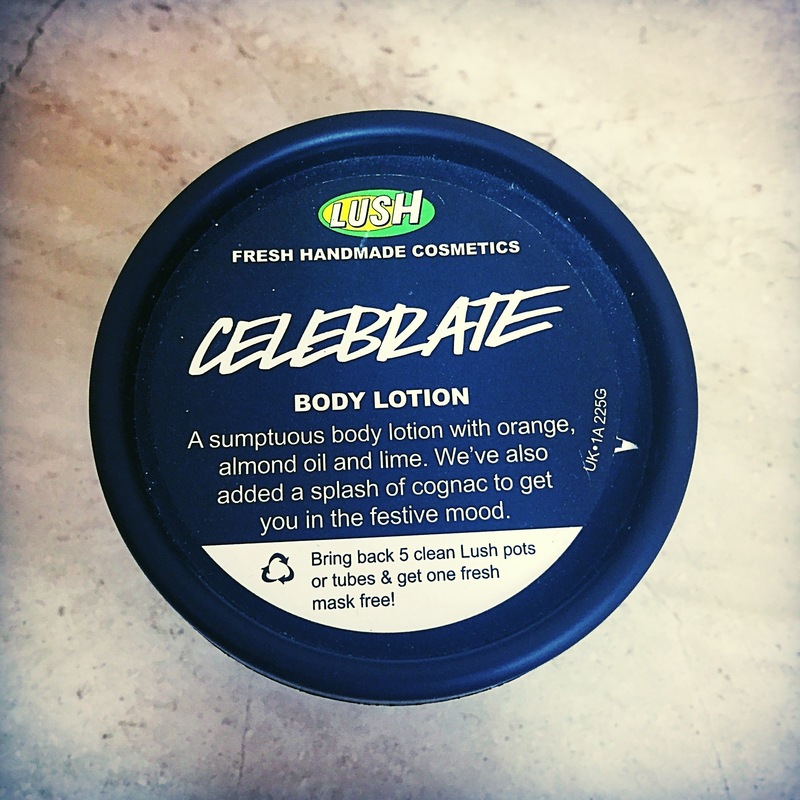 The Celebrate body lotion was originally released as part of the 2013 Christmas collection. Since then it have reappeared every year in the Christmas range and is a firm favourite amongst many lushies. Containing Brazilian orange oil, cognac oil, lime oil and orange flower absolute this body lotion has an absolutely delightful aroma. The scent is very fresh and you can instantly pick up on the orange as its main ingredient. I feel the scent of the body lotion is perfect for Christmas and it reminds me of opening the orange that I always found at the bottom of my stocking on Christmas morning. The Celebrate body lotion shares its scent with several other products that lush have released including my all time favourite the Golden Wonder bath bomb. When lush create a body lotion they tend to be quite neutral in colour, due to the fact they don’t add any unnecessary colours making the product very natural. I found the Celebrate body lotion to be slightly thicker and creamier than most lotions by lush. Lush have included cocoa butter and almond oil into this product making its super moisturising for the skin. I found that although a little thicker than most lotions, Celebrate still absorbed into my skin quickly and didn’t leave my skin feeling sticky. After use my skin felt very soft and moisturised and the scent could be picked up for hours. Overall I’m very impressed with the Celebrate body lotion. I have quite sensitive skin and find my skin disagrees with a lot of body lotions but the Celebrate lotion has caused me no problems and is very soothing on sore skin. INGREDIENTS: Almond Oil, Water, Cocoa Butter, Glycerine, Stearic Acid, Triethanolamine, Brazilian Orange Oil, Cognac Oil, Lime Oil, Orange Flower Absolute, Tincture of Benzoin, Cetearyl Alcohol, Linalool, Limonene, Citral, Perfume.